I always look forward to a new Coffeehouse Mystery by Cleo Coyle--not only does it promise great characters and a well plotted mystery, but I feel like I'm walking into my favorite coffeehouse, enjoying the heavenly smell of coffee brewing, and spending some time with old friends. 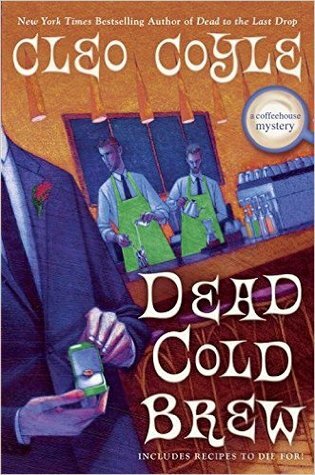 Dead Cold Brew is the latest book in this series and was as worth the wait as a great cappuccino. Life is going well for Village Blend manager Clare Cosi. She is back home in New York after spending some time in Washington DC, and back to managing her beloved coffeehouse and spending time with the love of her life, NYPD police detective Mike Quinn. However, things quickly take a scary and odd turn when a shooter starts aiming at cops while running around dressed like a super hero. Also, Clare's ex-husband and business partner, Matt Allegro, brings her an exciting business proposition--create a new coffee blend for the launching of a cruise ship that is modeled after a ship that wrecked 60 years ago. It seems to be a wonderful challenge, but of course things never are what they seem. Throw in a famous jewelry designer who survived that wreck and is later poisoned, a hidden treasure, and secrets galore, and you have yourself quite the mystery filled with more twists and turns then you may be able to untangle-thankfully Clare can. I always enjoy spending time at the Village Blend. Clare is a nice mix of tough, smart, witty, and loveable--always there looking out for the ones she loves. 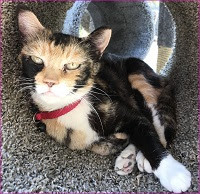 Her curiosity can get her into trouble, but she always seems to find her way out of it and find the truth, all the while blending amazing coffee, and baking some sweet treats to die for. If you enjoy a good mystery, great characters, and a wonderful setting, don't miss Dead Cold Brew. And while you are at it, if you haven't read the previous books, grab yourself a cup of coffee and get to it! There are also some heavenly recipes at the end of the book including one for cold brew coffee, and one for Clare Cosi's Cannoli Cream Cupcakes!